Introducing my Green Chocolate Ganache cake, with fondant accents. 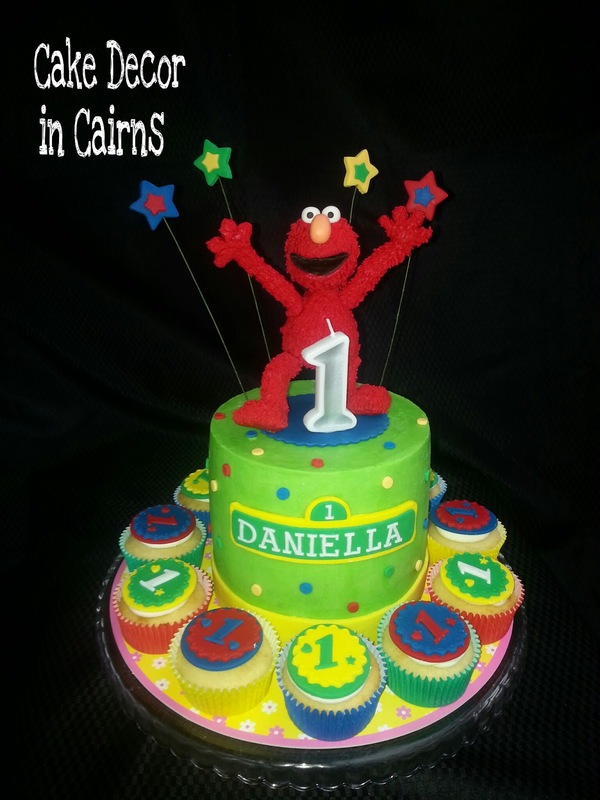 And my super awesome, I am so proud of myself, hand modelled Elmo in Fondant!! .•°°•. ☆ .•°°•. Yay Me!! .•°°• ☆ .•°°•. Can you half tell I am a little excited and just a bit proud of this one? 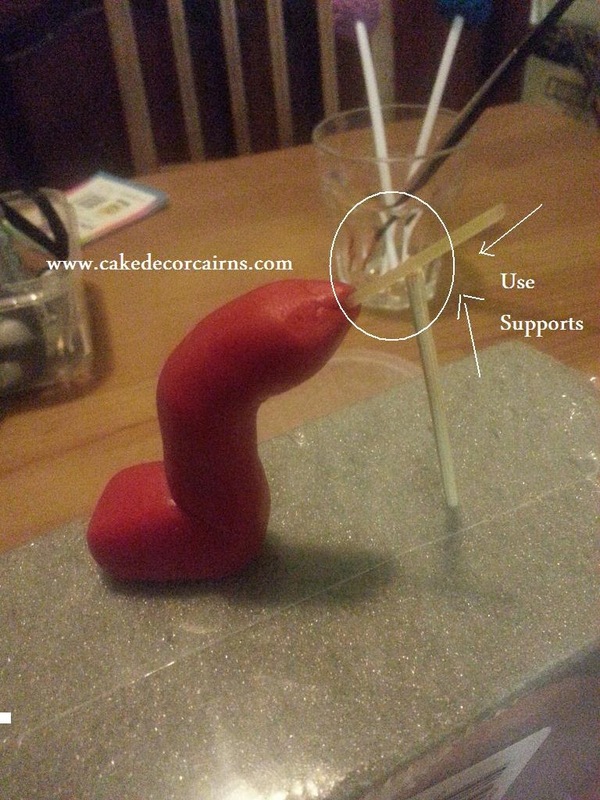 I gotta say straight up, thanks to CakeCentral.com and CakesbyRaewyn for the tips on making the fur look. I combined a couple of ideas and Ta da! 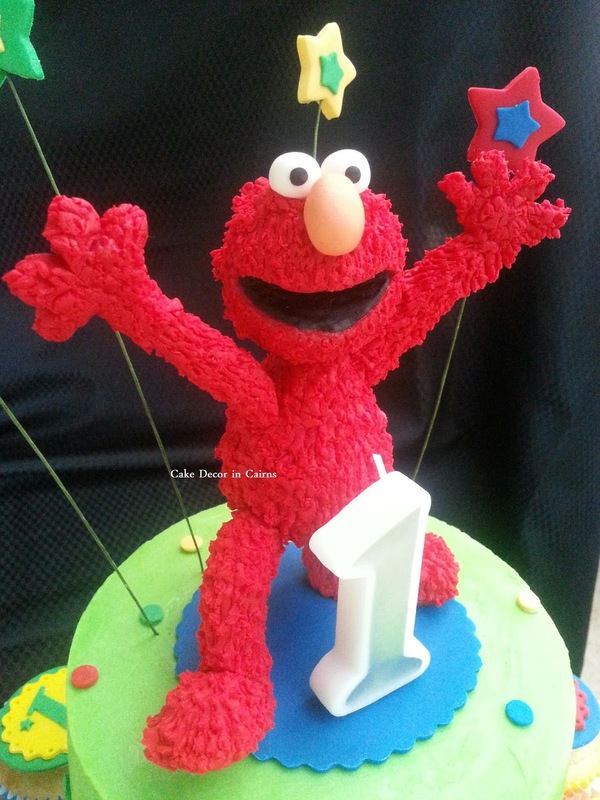 My 3D standing 100% fondant Elmo Topper was created! And you know, when you take the time to create something, and it works - you should celebrate! Be proud and give yourself a huge round of applause! That's what I am doing today! b) the high humidity and rain that decided to appear created too much moisture causing the spaghetti to absorb it and break very easily. 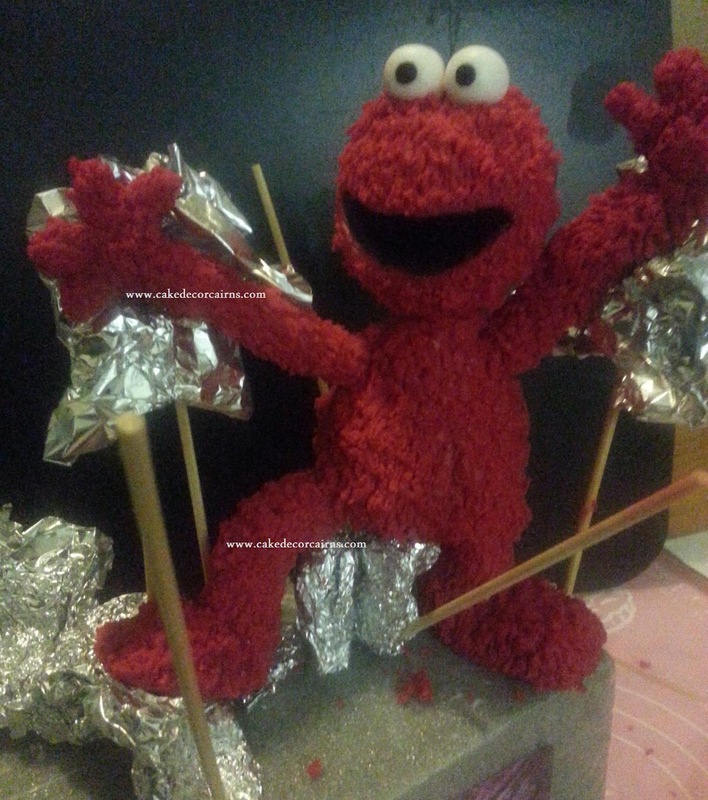 In the end I rescued Elmo by using some toothpicks (not pictured - as by this time I was a little frazzled and beyond capable of taking photos!) 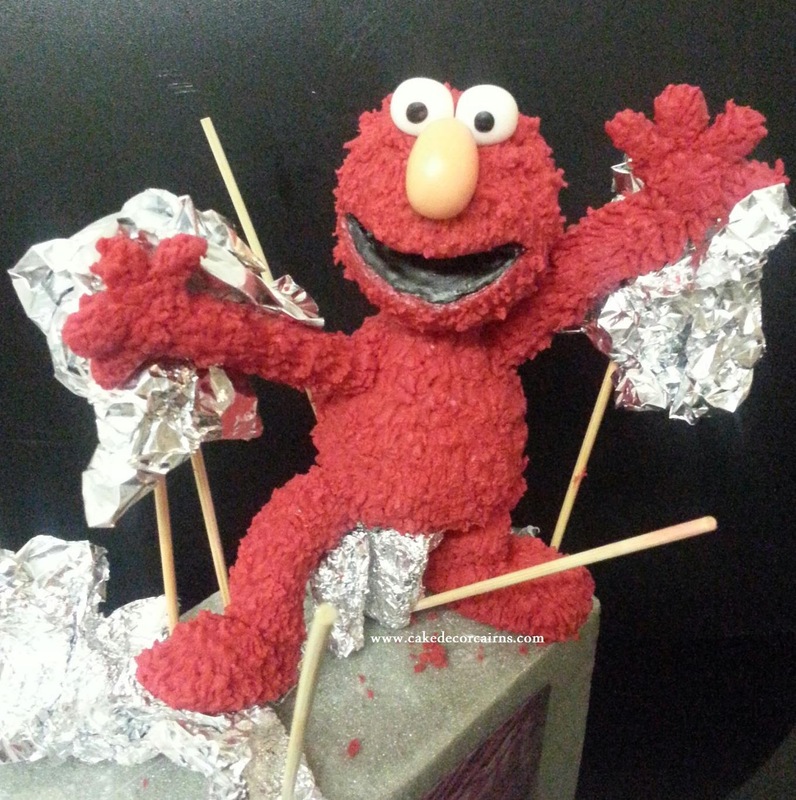 I really would like to have been able to make him 100% edible, but structurally this was not possible with my 100% fondant figure. 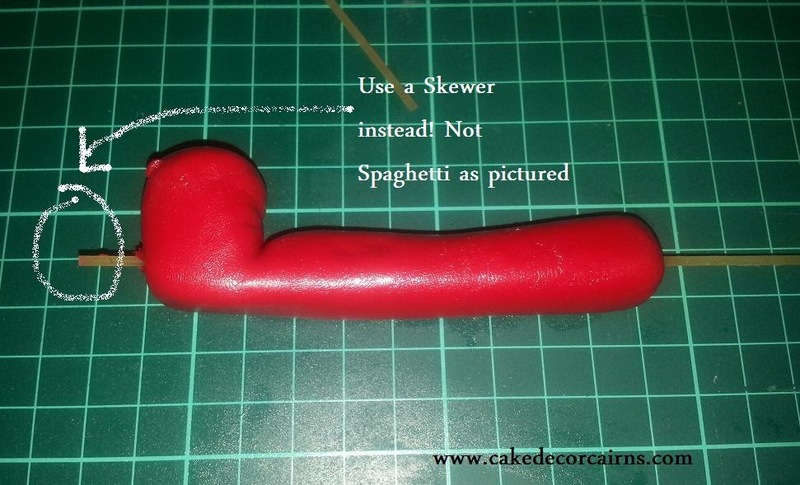 Yes, I am sure spaghetti works for others just fine, just not for this home baker at this time! 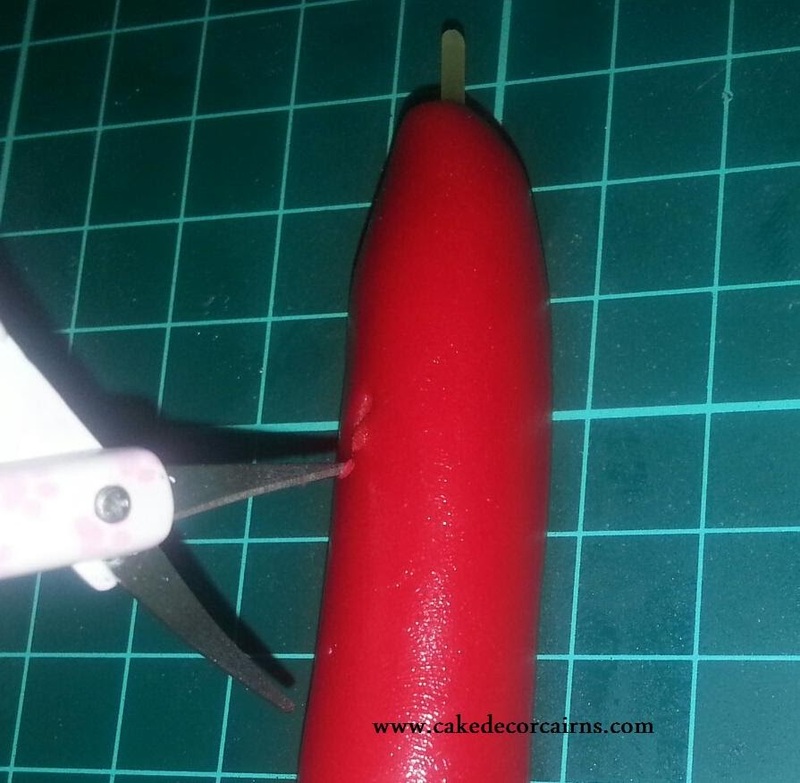 Before I upload a million photos (ok slight exaggeration but lets just say cake loads) You can take a moment to look at Raewyns photo tutorial on facebook. I could have sworn I watched a video also but I can not find it anywhere? 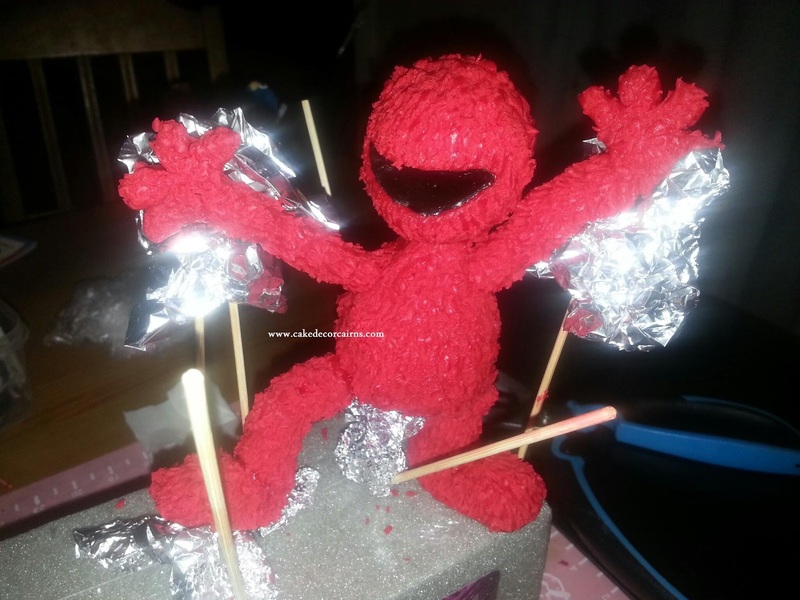 So anyway check out Raewyns sitting Elmo tutorial, and then come back here! 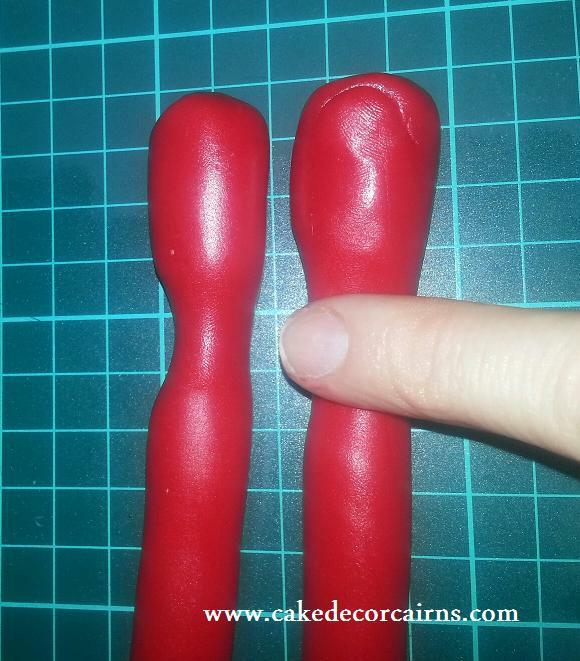 I used Bakels Red fondant treated with 1 teaspoon of CMC/Tylose per 500grams. 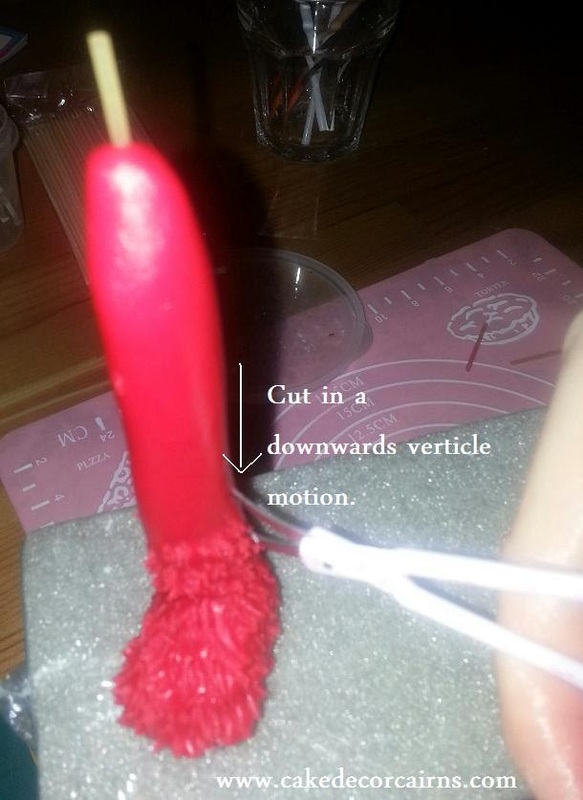 Use a skewer to insert from the foot, ensure it's long enough to extend through the body and support the head. Think of it as a spinal support. I found curved manicure scissors gave me a more natural fur. Just make sure they are brand new and only used for food! 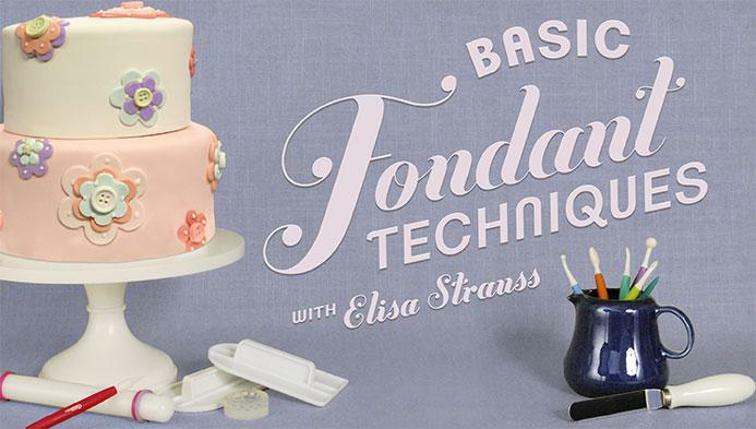 Start making little cuts and sort of grab the fondant a little as you cut and pull away. Make your scissors open wide and I found cutting vertically gave me a good looking fur. Repeat process with other parts. 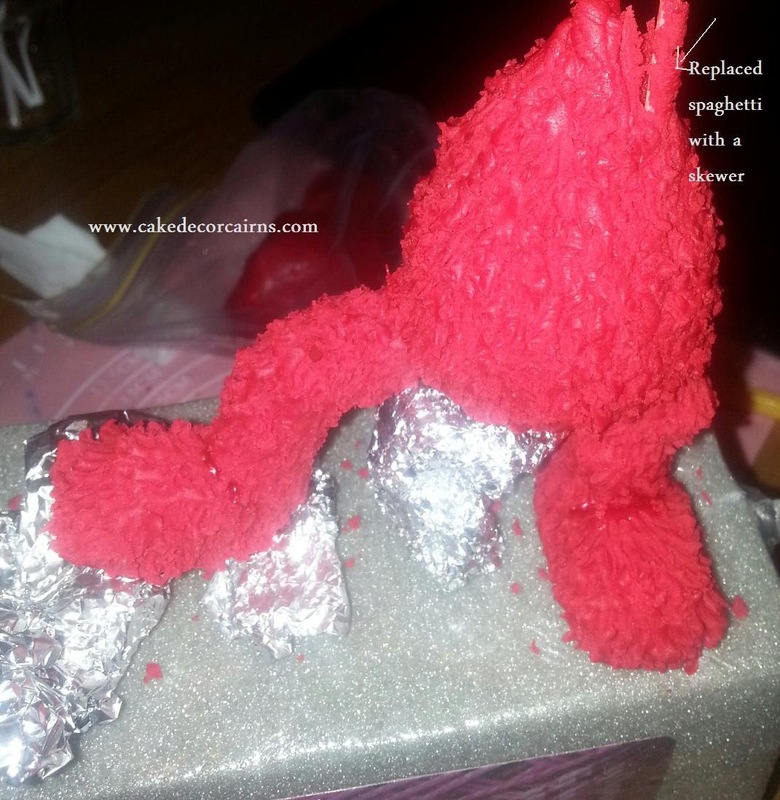 Here I wanted Elmos leg to bend. 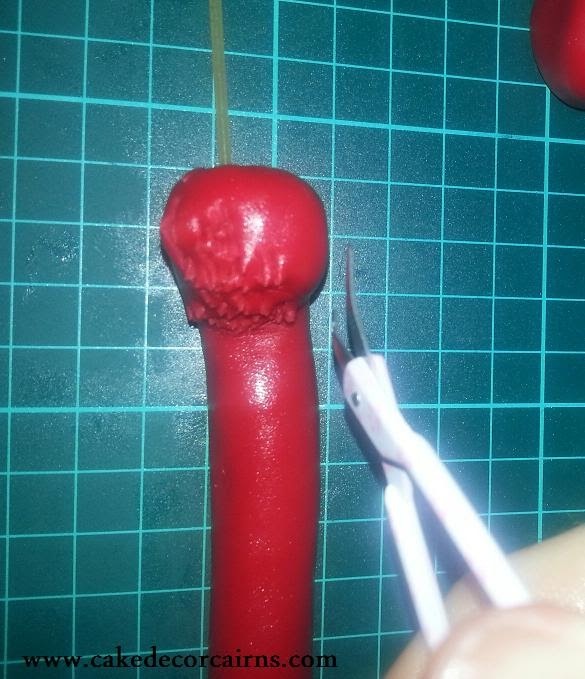 I inserted spaghetti to give it some support. Trim off excess spaghetti at foot toe. 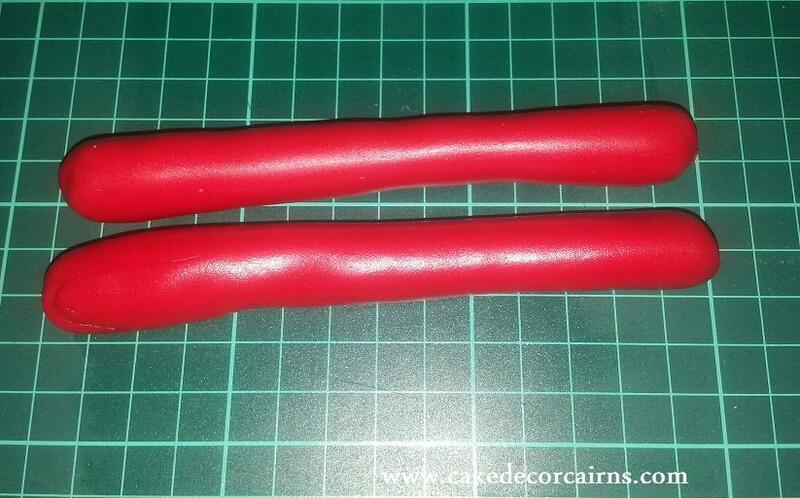 The arms were made in a similar way. 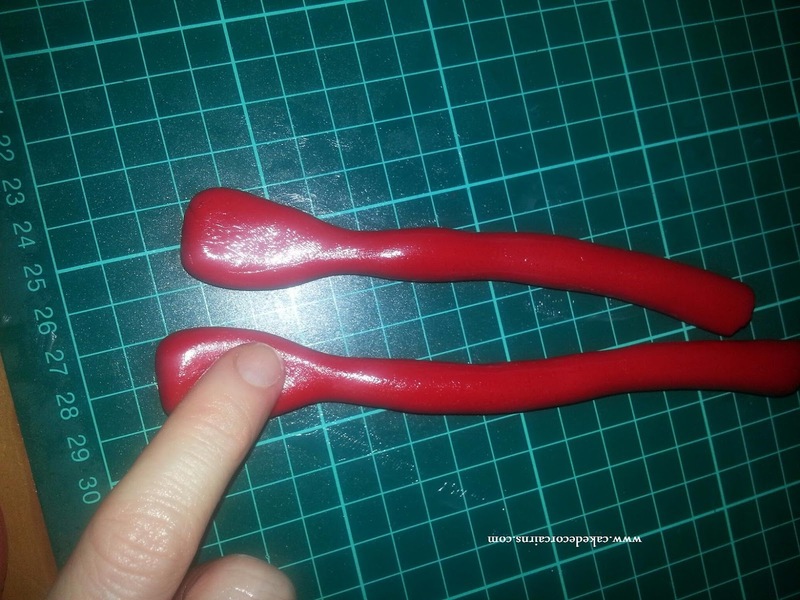 Make snips for the fingers, cut out excess bits in between. Leave to dry while supported. The next day, Makr an egg shape for Elmo's tummy. 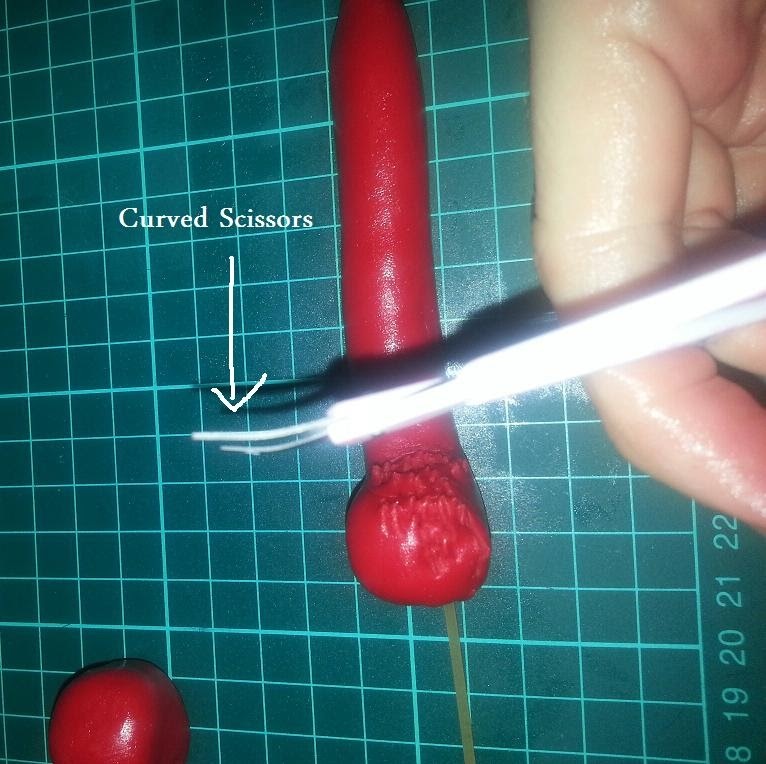 Make fur with your scissors. 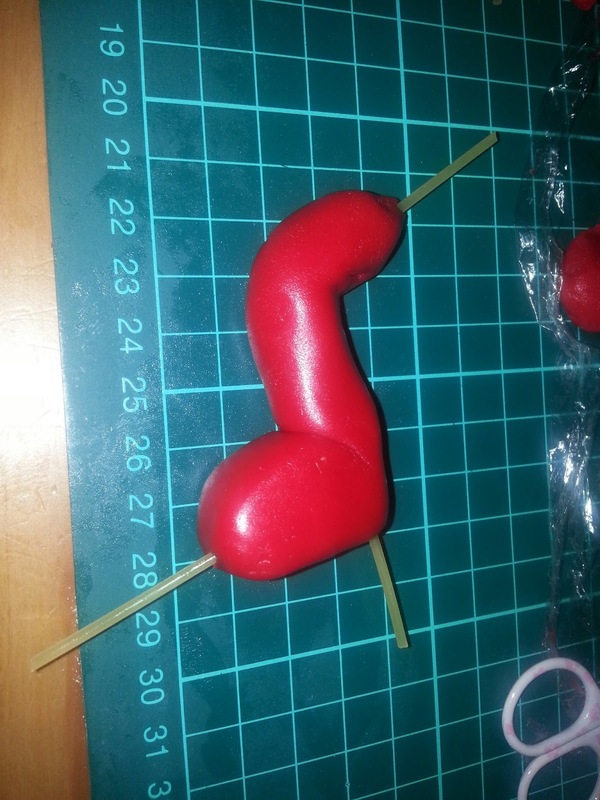 Putting the pieces together, I used cmc glue on the tips of the skewers / tooth picks and joins. 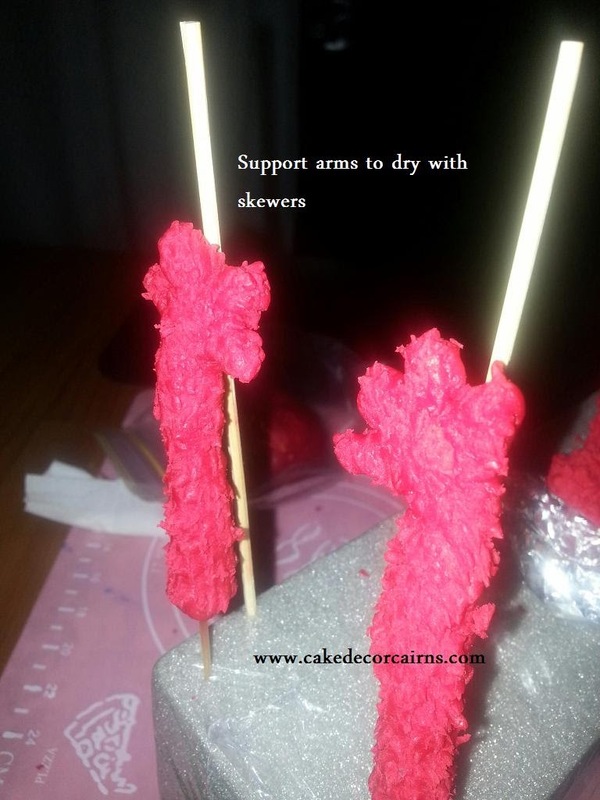 Carefully stick dried legs and arms into tummy before it dries. You can see I am using squished up alfoil to hold the tummy up. I missed the head photos. 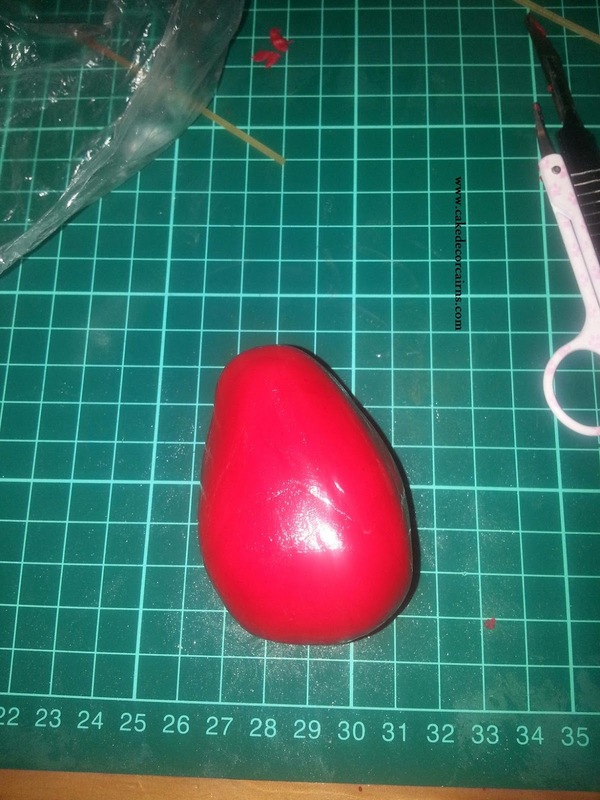 But I made a ball and I cut out the mouth with a craft knife, then used a ball tool to smooth it out and placed black fondant in side - again smoothing it out with a small ball tool. I then did the fur cuts, including fixing bits I may have flattened. 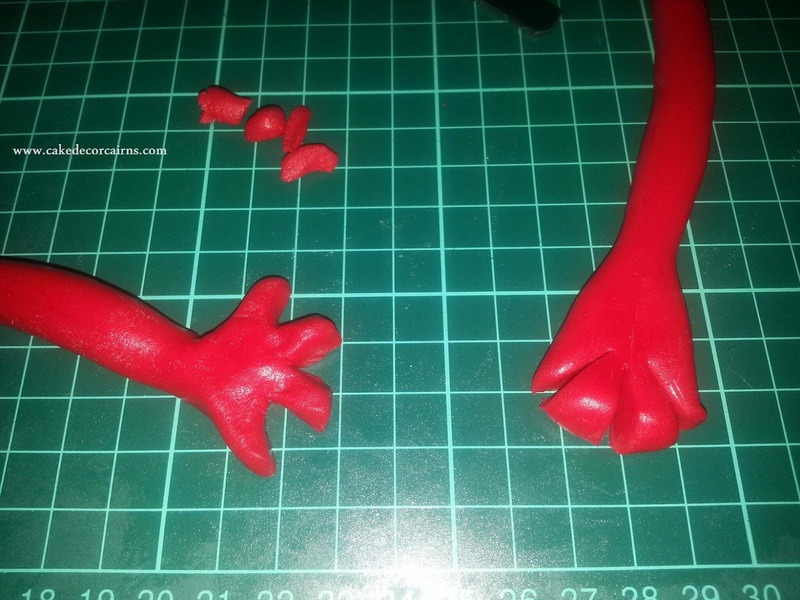 While his head was still soft, I cut out some small indents to place white hand rolled balls for eyes, sticking smaller black balls and flattening for pupils. I used cmc glue. Finally an orange egg shaped piece of fondant for Elmo's nose! Left to dry in supported position for a few days.